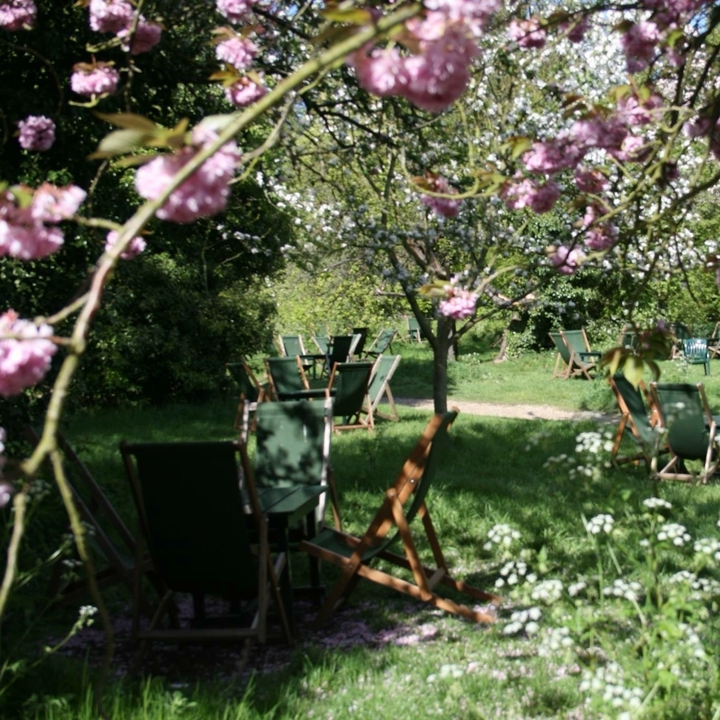 Muddy says: This old orchard provides one of the best summer spots to enjoy a pot of tea, a jam scone and cream or a glass of fizz reclining in a deck chair under an apple tree. 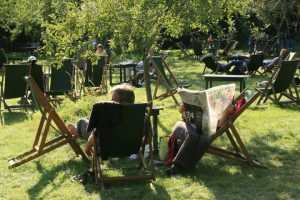 A gentle stroll from Cambridge Mill Pond will bring you to the Orchard Tea Gardens in Grantchester. 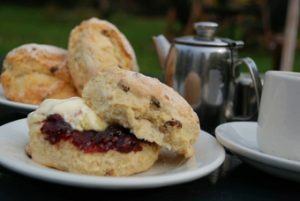 Serving fragrant coffee and aromatic blends of tea, delicious brunches, lunches and sweet tasting treats – no afternoon tea would be the same without the obligatory scones, jam and cream. Fully licensed, the informal eatery offers a selection of champagne,wines, bottled beers, ciders and spirits. Relax, enjoy the genteel setting and soak up the atmosphere of a bygone era. 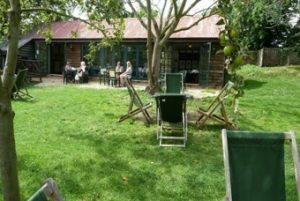 Open pretty much all year round, come rain or shine – there’s an inside area for the colder months. Hours during the winter months are Mon-Sun 10am- 4pm, spring (from 25th March) 9.30am- 6pm and summer (from 27th May) Mon-Thurs 9am- 6pm and Sat & Sun 9am- 8pm. This old orchard provides a perfect backdrop for a vintage wedding – whether you love 1930’s Art Deco, a homespun 1940’s look or a more modern boho festival feel. Outside there’s heaps of space under the apple trees and The Pavilion (named after the original building) provides an indoor area with doors opening onto the gardens. Although there isn’t any accommodation in the small village (there are three watering holes however!) it’s only a short drive into Cambridge, which offers a bed for the night to suit most budgets.